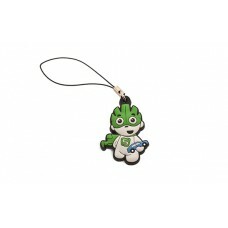 This 3D pendant for zipper will certainly grab your son’s attention. The highly detailed PVC figure is holding a blue car and can be easily fixed to the zipper with a black lace. Dimensions: 35x25x6 mm.